847 St. Nicholas Ave. Apartments. SLM Architecture P.C. 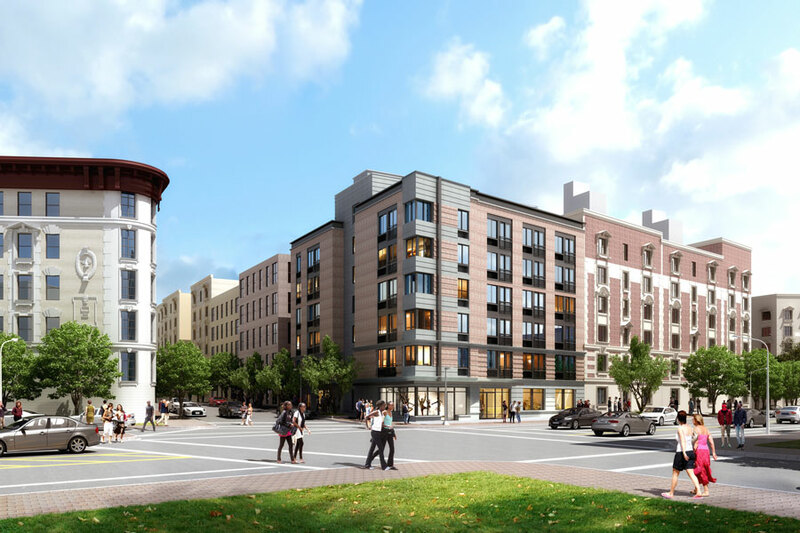 A new housing lottery in Hamilton Heights is accepting applications from low-income renters. Rents start at $475 for studios and go up to $1,166 for 2-bedrooms, varying with income and household size. Prospective renters should apply through NYC Housing Connect before the deadline of April 22, 2019. 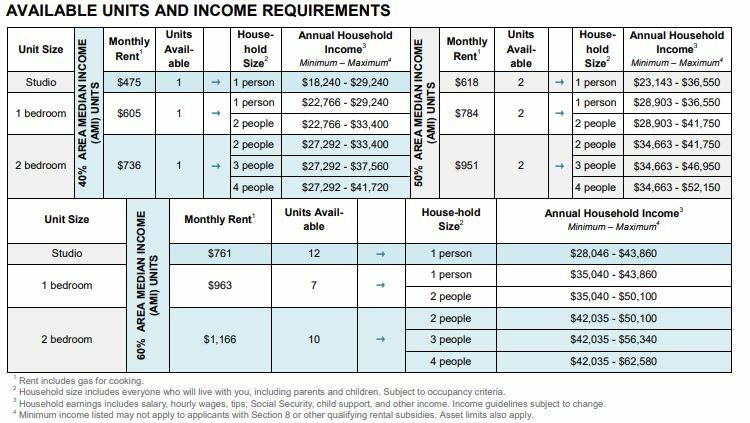 To apply, you must meet the household income requirements. These are set at 40, 50 and 60 percent of the area median income (AMI). In gross annual income, that translates to between $18,240 and $62, 580. Applicants with disabilities impacting their audio, visual or mobile facilities receive special preference. Residents of Manhattan Community Board 9 also receive preference. Located at 847 St. Nicholas Ave., the building rises seven stories and offers 38 affordable units. As a nod to the Dance Theater of Harlem, the previous owners of the lot, it features a 700-square-foot dance studio. The building also offers a fitness center and roof terrace. Nearby public transportation options include the A and C lines at 155th Street Station. The Jackie Robinson Recreation Center and Sugar Hill Children’s Museum of Art are also nearby.